Moving a hectic process, and trying to get organized for moving day can seem impossible. How do you pack up your entire home and move it to a new house in just one day? It’s a daunting task, but it doesn’t have to be impossible. 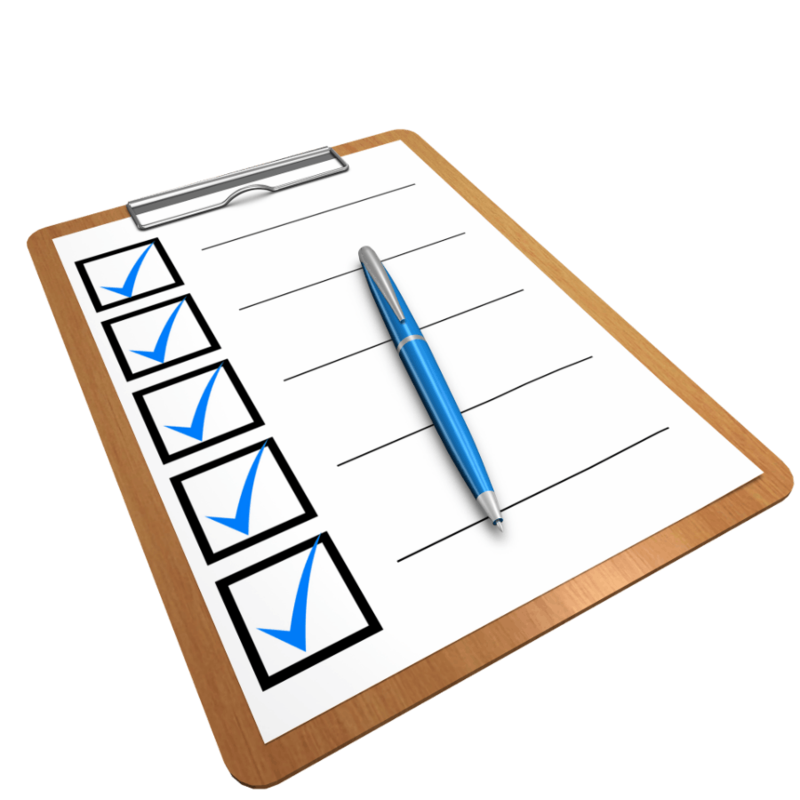 Having a moving day checklist to follow on moving day can help make sure things go smoothly and keep stress levels low. Read on to learn more. The day before moving day, you may not want to pack up the coffee pot, because you’re going to have an early morning. You may not be surprised to learn that you should get up early on moving day. There’s a lot to get done, and you’re going to want to get an early start on the day. After you get up and get dressed, pack up the rest of the essentials you needed for the night before. This may include overnight bags, extra clothes and pajamas, toiletries, and, yes, the coffee pot. Put all your suitcases and smaller essentials in the car before the movers arrive. By the time the movers arrive at your house, the majority of your things should be boxed up. You’ll want to make sure to triple check that all furniture pieces (ottomans, dressers, china cabinets, etc.) are empty. And be careful to label everything as you go so you and the movers know what goes where and which boxes the fragile items are in. When the movers get there, show them around the house and give them any information they might need. This can include which boxes are fragile, what furniture needs to be disassembled, and where the bathrooms are (don’t forget to leave some toilet paper there). It’s a good idea to have some bottled water for them and to stick around while they pack things up in case they have any questions. After the moving vans are all loaded and the house is empty, do one final sweep of the house. It’s easy when we’re living in a place for a long time to get used to items being in certain places. So when we’re cleaning things out, it can be easy to forget to look for something. Check every single cabinet and drawer in your entire house and make sure it is completely empty. That includes the junk drawer in the kitchen, the cabinet on top of the fridge, and the top shelf of every closet. Open all the doors and make sure nothing has been forgotten or accidentally left behind. It’s also worth taking a moment at this point to say goodbye to your old place. We know things are hectic, and by this point, you’ll probably be running behind schedule. But this place was your home, and it’s nice to take a moment to remember the good times you had here before you move on to a new place. Depending on how far you’re moving, getting to your new place may be more or less of an ordeal. If you’re moving across down, this will be a simple drive over to the new house. If you’re moving across the world, you may start this next step on the checklist on another day. However far away it is, once you arrive at your new home, unload the essentials you have in your car and put them out of the way. Then it’s time to start directing the movers about where the new furniture should go. If possible, having a list or schematic drawn up ahead of time can be very helpful and reduce stress for everyone. Your movers should unload all your boxes and furniture and put them in their designated rooms for you. They may help reassemble any furniture that needs it, and once again, you should have water available for them. Before they leave, it’s not a bad idea to have both them and you check the truck to make sure nothing got left behind on accident. It’s a good idea to tip your movers as well before they head out. This isn’t mandatory, but they did just spend the whole day packing, unpacking, and hauling around your things. Five percent is the baseline tip for movers, though you can adjust this based on the quality of the service you got. After the movers leave, you probably aren’t going to feel like doing any more packing or unpacking. It will have been a long day, and you and your family are going to be tired. But it’s a good idea to get at least the essentials unpacked to start to settle into your new home. Unpack your suitcases you brought along and find places for those few items in your new space. Put toiletries in the bathroom, and put any clean clothes you have into your dresser or closet. Starting with these little steps will make it easier to start tackling the enormous task of unpacking your entire house. The last thing you should do before kicking back for the rest of the evening is hang up your curtains. This may sound like a strange piece of advice, but having curtains up does a surprising amount to make a space feel more homey. And from a practical standpoint, it will make sure you don’t get woken up at the crack of dawn the next morning. With your curtains in place, it’s time to relax in your new home. Order out from a local restaurant (pizza is always a good choice) and enjoy the evening with your family. Explore and enjoy your new home, and start off this next chapter of your life with some wonderful memories. Following a moving day checklist is a great way to keep your move as organized as possible. There are a million things to think about and this way, you aren’t trying to remember them all at once. And when things do go off-script (and they almost certainly will), you’ll be able to see right where you need to pick up once the problem is fixed. If you’re looking for moving help, get in touch with us at Get Moving Labor. We’ll help you find the perfect team to manage your move. Get an instant quote on pricing today.